The NBA-SBL is actively collaborating with the Nigerian Economic Summit Group (NESG) and the National Assembly (NASS), through an institution called NASSBER to review various laws that directly affect business activities in Nigeria with a primary objective of enhancing The Ease of Doing Business. The impetus for the establishment of NASSBER was the very dismal ranking of Nigeria on the World Bank Ease of Doing Business Report, 2016. Nigeria ranked 169 out of 189 countries. This led to DFID engaging a team of consultants chaired by Professor Paul Idornigie, SAN conducting a review of extant laws and bills pending before the National Assembly and making recommendations for amendments of certain laws, repeal and re-enactment with respect to others, as well as prompt enactment of certain bills including the pivotal competition bill and, importantly, simultaneously ranking the laws/bills in the “High”, “Medium” and “Low” categories. More specifically, the Report identified 54 legislations that required immediate legislative review including amendments or repeal and re-enactment and eight bills that required prompt passage comprising of seven so-called “Transportation Bills” and one Federal Competition and Consumer Protection Bill (what would be the first-ever competition Act in Nigeria). Also, identified as critical laws that require repeal and re-enactment are the Companies and Allied Matters Act (CAMA), and the Investments and Securities Act (ISA). 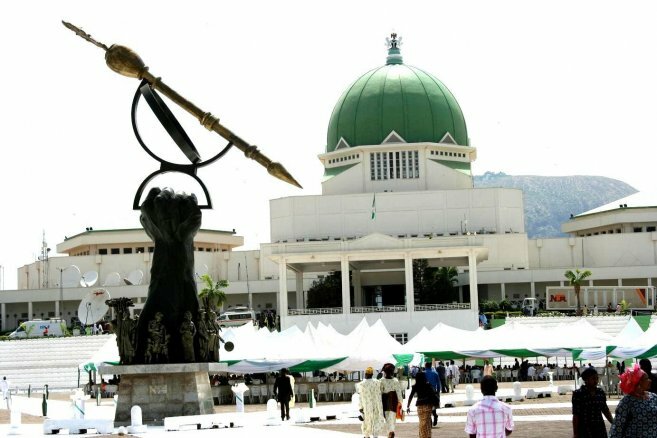 Broadly described, NASSBER is a legislative/private sector initiative established to develop a framework for the improvement of the economic and business environment in Nigeria and, in particular, through law reform. More specifically, its objectives are as follows: Facilitating and implementing legislative reform and, in particular, with respect to enhancing the ease of doing business in Nigeria; Providing a platform for engagement and consultation with key stakeholders; Proffering solutions/recommendations for enhancing the competitiveness of “Made in Nigeria”; and Consistently advocating for the diversification of the Nigerian economy. The NASSBER structure has a Steering Committee, Technical Committee and Working Groups. In summary, the Steering Committee will comprise of the Leadership of the National Assembly and, in particular, the Senate President and Speaker of the House of Representatives, as well as very senior members of partner organizations. The NBA-SBL’s Vice Chairman, Seni Adio, SAN is a founding member of NASSBER and leads the NBA-SBL’s representation. The Technical Committee comprises of subject matter experts also drawn from members of partner organizations. Regarding the Working Groups, the members will include sectoral stakeholders, as well as consultants who will have access to the resources and leadership provided by the Steering and Technical Committees. Presently, our members, Sam Aiboni and Sotonye Etomi are working on the transport bills as members of the Technical Committee on Transport, while Yemi Anyanechi and Desmond Ogba are on the Technical Committee on Banking. Other members of the SBL who have made contributions include PriscilIa Ogwemoh, Ozofu Ogiemudia, Bukola Olabiyi, Dr. Akeem Bello, Kalu Abosi, Olumide Osundolire and Agbolade Adeyemi. As the need arises other members of the SBL will be called upon to provide their respective expertise to support the SBL’s participation in NASSBER. Previous articleRe OsborneGate Forfeiture Order: $43m Going! Going!